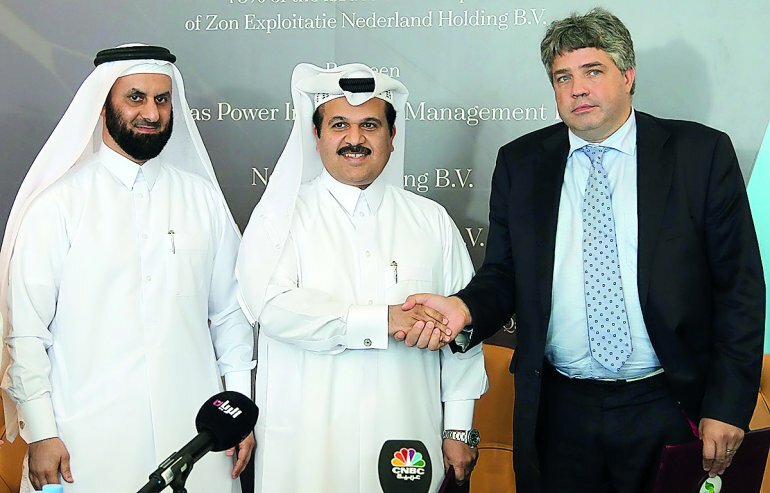 Netherlands-based Nebras Power Investment Management B.V. (NPIM), an affiliate of Doha-based Nebra Power company, Sunday signed a binding deal for the acquisition of 75 % of shares of Dutch leader in sustainable energy producer, Zon Exploitatie Nederland Holding (Zen), reports say. The deal, signed in Doha, enables the Nebras to access the attractive and fast-growing Netherlands renewable power market. Zen as of now produces 96MW of solar energy in operation. The company is the leading company in the field of sustainable solar energy projects in the Netherlands. The acquisition expands Nebras’s existing solar portfolio which also includes Jordan’s Shams Maan and AM Solar under construction. Nebras Power Q.P.S.C. is a joint venture of Qatar Electricity and Water Company (QEWC) (60 percent) and Qatar Holding (QH) (40 percent). It owns the total equities of NPIM which is incorporated in the Netherlands. NPIM was founded in 2016 with the aim of owning, developing and investing in greenfield developments and brownfield projects, in the sectors of power and water, in the Netherlands and internationally. Posted by KanelkaTagba on Sep 17 2018. Filed under Energy, Headlines. You can follow any responses to this entry through the RSS 2.0. Both comments and pings are currently closed.